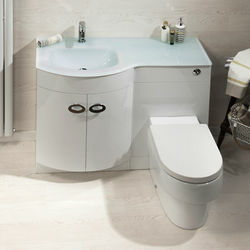 Italia Furniture > Vanity Unit Pack With BTW Unit & White Glass Basin (LH, White). 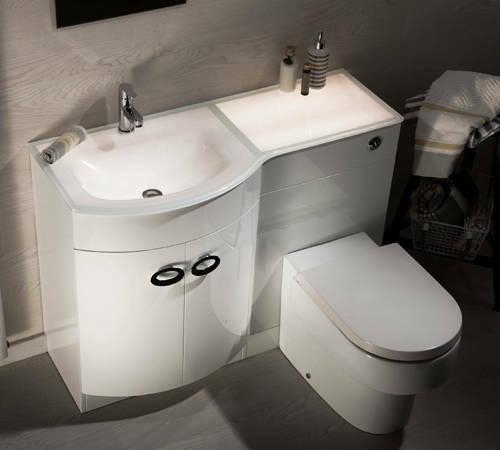 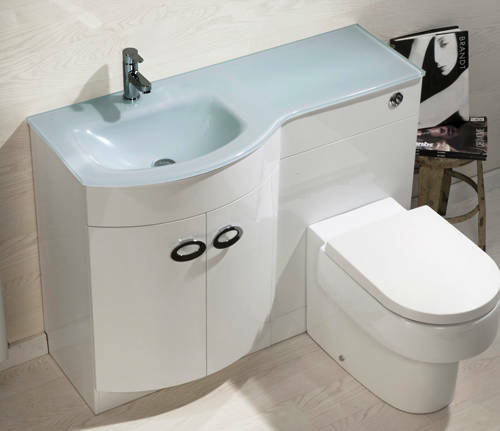 Pebble D shaped bathroom furniture pack in gloss white finish with vanity unit, btw unit and white glass basin (left handed). 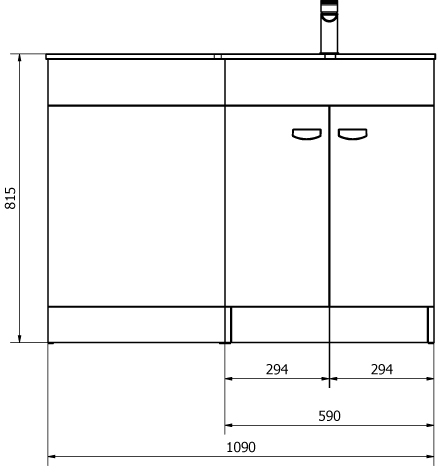 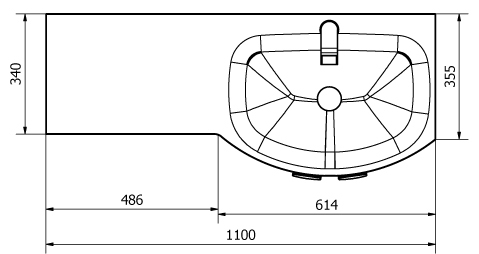 Floor standing with double curved doors. 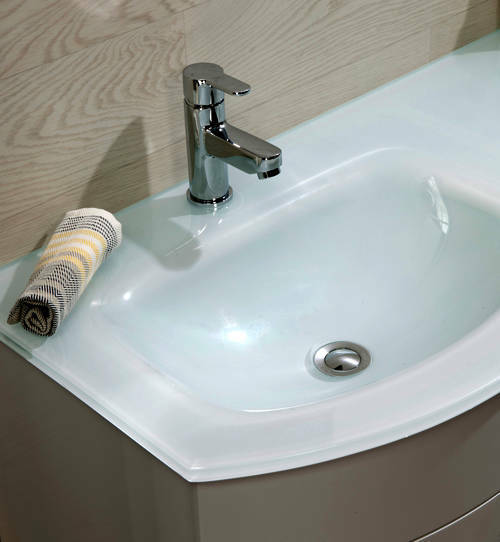 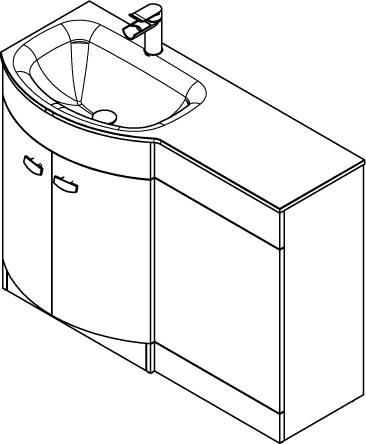 D shaped white glass basin and worktop in one (1 tap hole). 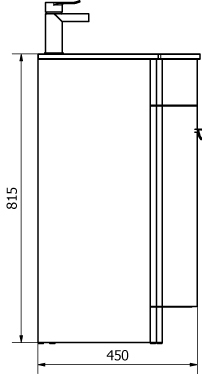 Complete unit size: 1100W x 815H x 450D mm.